Last Wednesday I had to head off for a meeting on the far side of Cork City, the meeting starting at 9am. Talk about perfect timing. That morning was crisp and clear and as the sun rose it shed a wonderful light on the city. I just about had time to quickly stop and take a couple of images. As you can see the time was still a bit before nine, though this being the ‘four-faced liar’ one could not really be certain how much time there really was. 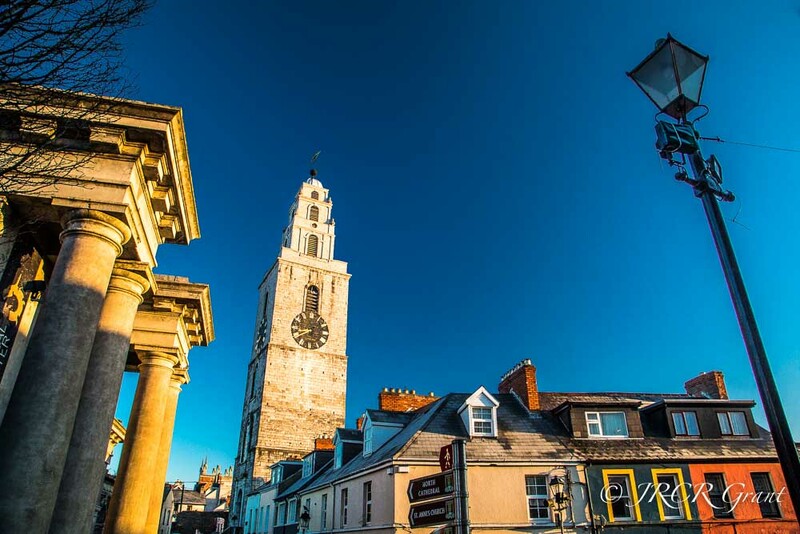 Hoping you enjoy this image of one of Cork’s most iconic landmarks, the Shandon Tower. That sky is ridiculous! And the pop of yellow both left and right. Sublime. oh you! I’ll pretend it was all natural!